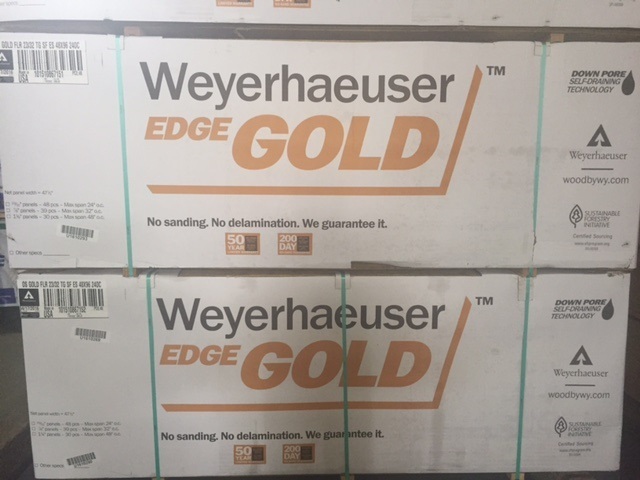 Weyerhaeuser Edge Gold flooring is your choice for a value engineered sub-floor. 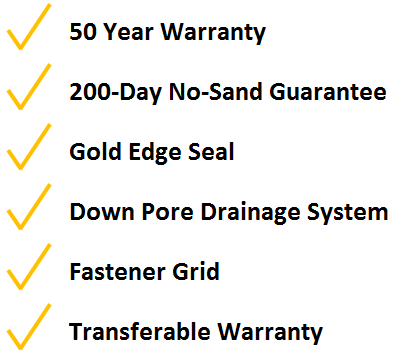 Their 50 year transferable warranty and 200-day no sand guarantee gives every builder and homeowner the confidence that their floor will install with ease and perform for decades. 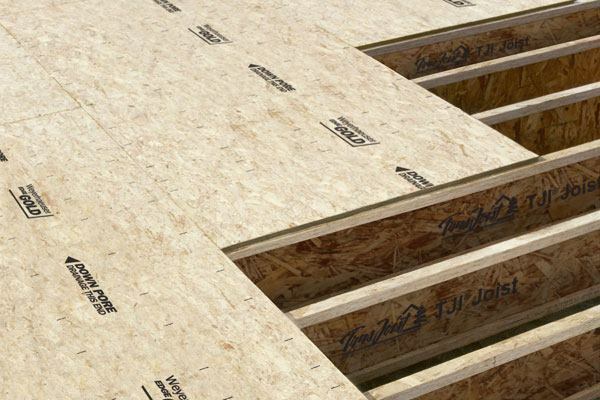 Each panel is touch-sanded to provide a uniform appearance and tighter thickness tolerances. The face of every panel is stamped with a fastening template and each bundle ships face-up, ready for easy and accurate installation right off the truck. Edge Gold's patented Down Pore technology ensures that water properly drains, protecting against edge swell and the need to touch sand before installing hardwood flooring or tile. 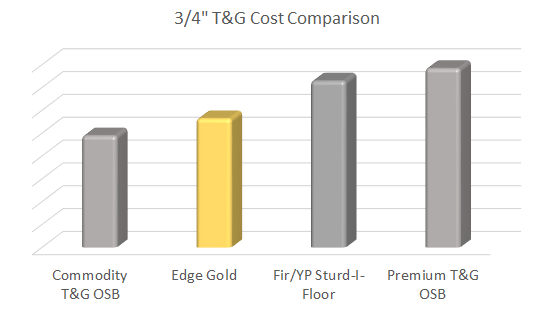 Simply put - Edge Gold offers all the high end benefits at a valuable price.